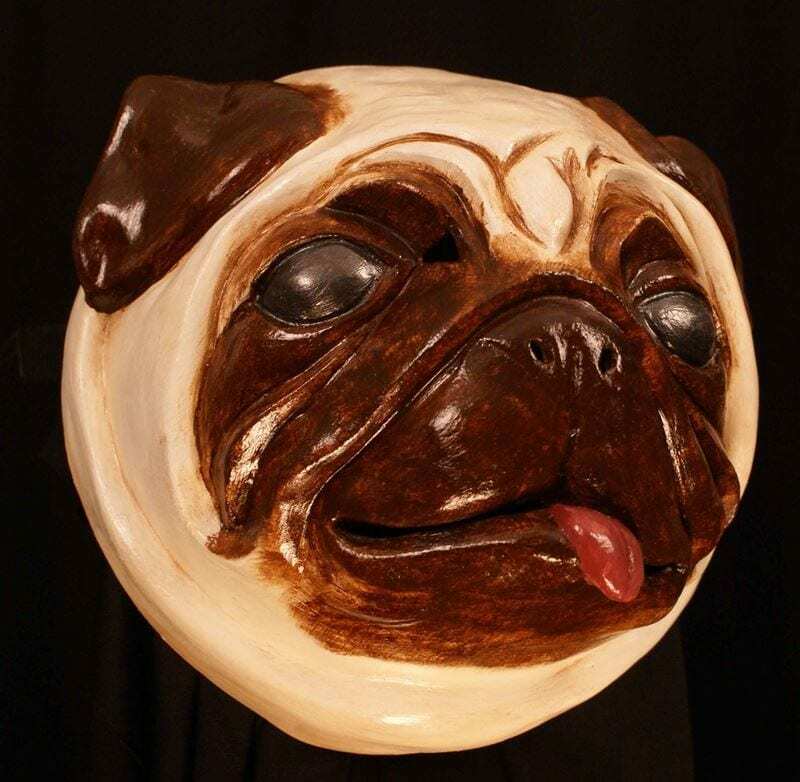 The Pug Dog Mask is joyful representation of this wonderful breed. It was created for a Meet the Breeds Trade show in New York City and could be found wiggling its was down the sidewalk out side of Madison Square Garden. This mask can be seen opening the NASDAQ slightly before the crash in 2008. The Pug is described in Latin as mutum in parvo which means much in little. These strong willed little creatures are great with kids. They are intuitive and sensitive little creatures. They are also like little shadows as they tend to follow their owners around all day long. This particular animal mask is another great example of a custom made mask by mask maker Jonathan Becker.